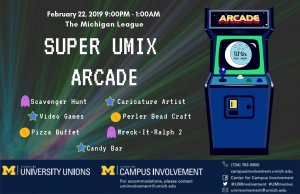 Swing by the Michigan League from 9:00PM to 1:00AM for this week's Super UMix Arcade! 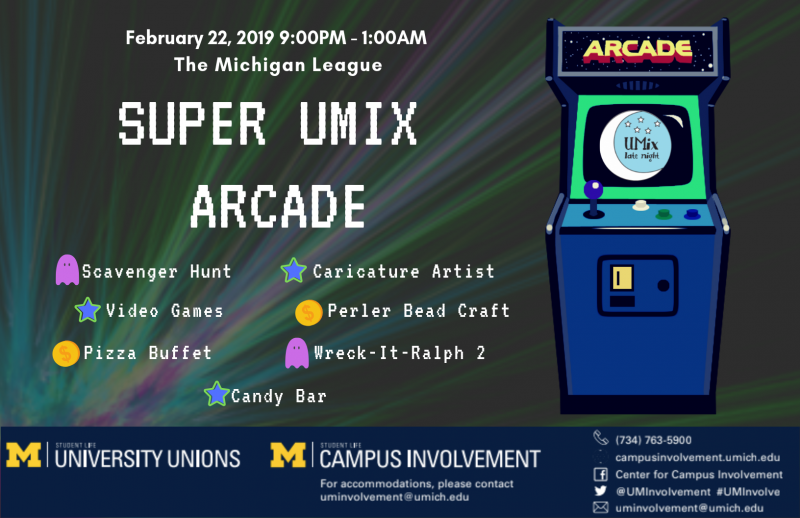 Dive right into some video games, go on a scavenger hunt, or get your caricature drawn! Feeling crafty? Enjoy our perler bead station! Hungry? Enjoy our candy bar and pizza buffet! We'll have a special screening of Wreck-it-Ralph 2 at 9:15 PM!